Of all the analogies being drawn between the calamitous rollout of Obamacare and other government muck-ups throughout history, one deserves a closer look. What’s happening to Obamacare right now isn’t this president’s Iraq war, or his Hurricane Katrina, or his Lewinsky moment. It’s his Iran-contra scandal: a complicated and controversial policy dispute that involves deception, a hostile Congress, and the bludgeoning of presidential credibility. 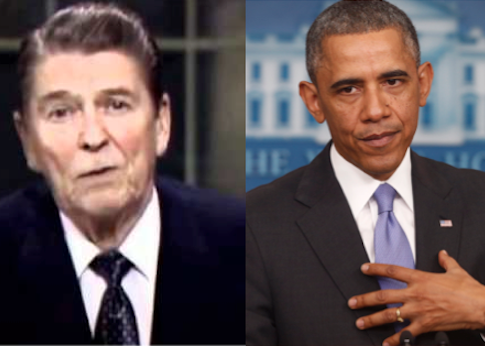 Iran-contra marked the end of the Reagan Revolution, and it’s not hard to see how the implementation of Obamacare might mark the end of the Obama Revolution as well. A boy can dream. The analogy rests on the following similarity between presidents Reagan and Obama: For much of their time in office, the two men were more popular than their policies, and enjoyed higher personal approval than job approval. Ronald Reagan was always more popular than tax and spending cuts, and Barack Obama has been more popular than Obamacare and the stimulus. Reagan was hard to dislike. Obama is too, or so I’ve been told.